A Travel Through Time, Coventry | What an Amazing World! In a summer afternoon my cousin and I arrive at the Coventry Bus Station, after a 45-minute journey from Birmingham. Contrary to my expectation, the bus station looks unassuming and drab with rather tedious interior, making me wonder if the rest of city looks as dreary. When we get out of the bus station, two giant sliver arches welcome us – a strikingly contrast accent to the area’s rather dull neighborhood. The Whittle Arch – after Sir Frank Whittle, the inventor of turbojet engine – is comparable to the glass pyramid of the Louvre. Regardless the lovers and the haters, it has become one of the most prominent landmarks in this city as the pyramid is to the French capital. Coventry is the second largest city in the West Midlands, trailing only Birmingham which is the country’s second largest city after London. Located only 19 miles from Birmingham, it is easy to do a day-trip to this city for anyone living in or traveling to the West Midlands’ biggest city. 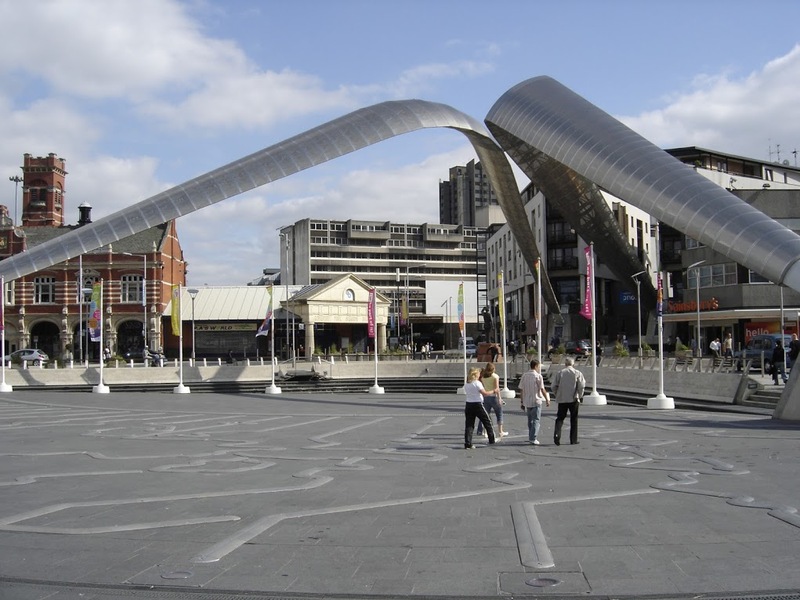 However unlike its bigger and more modern sister, Coventry is a much more ancient city with the earliest settlements dating back to the Bronze Age. During medieval time, it was one of the centers of cloth trading in England. But the true prominence of the city emerged in the 19th century when it became the center of bicycle manufacturing, then the country’s center of automotive industry a few decades later. 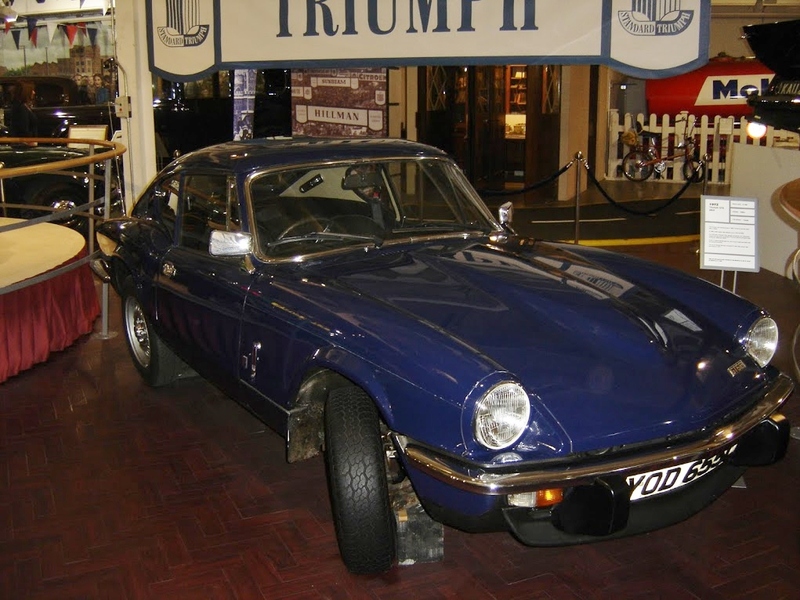 World-renowned English car manufacturers have or used to have their factories around the city. Daimler, Rover, and Jaguar are some of the famous names which once propelled the city’s economy. Over time, as car factories steadily move elsewhere and foreign companies acquired many British car manufacturers, now only ITL which is left in the city, still producing the iconic London black cab taxis. 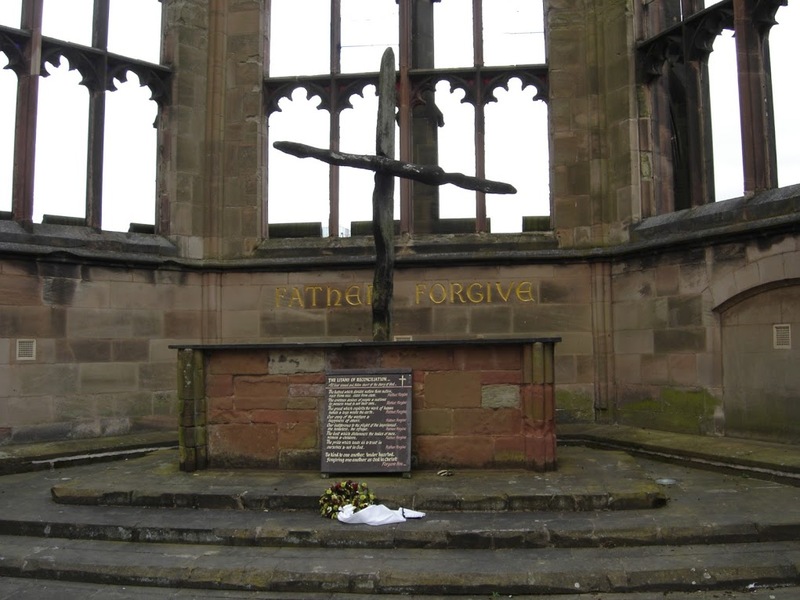 Coventry, like many other cities in Europe during WWII, suffered heavy damage due to the bombings by the Luftwaffe. The ruins of the old cathedral are the silent witnesses of the hardship the Coventrians had to deal with during the war which destroyed three quarters of the city. 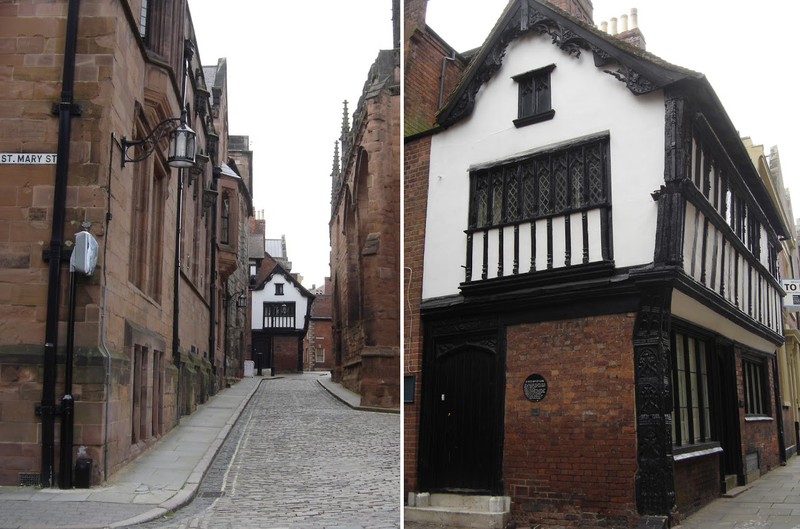 Today, the small streets and alleys around the old cathedral are one of Coventry’s main attractions for its atmospheric medieval charm with large red bricks and roughly-cut cobblestones which are laid on the streets. Strangely, it is such a peaceful place when we wander around, emanating a somewhat eerie yet captivating ambiance. The heyday of Coventry’s automotive industry has long gone along with the decline of British car industry. 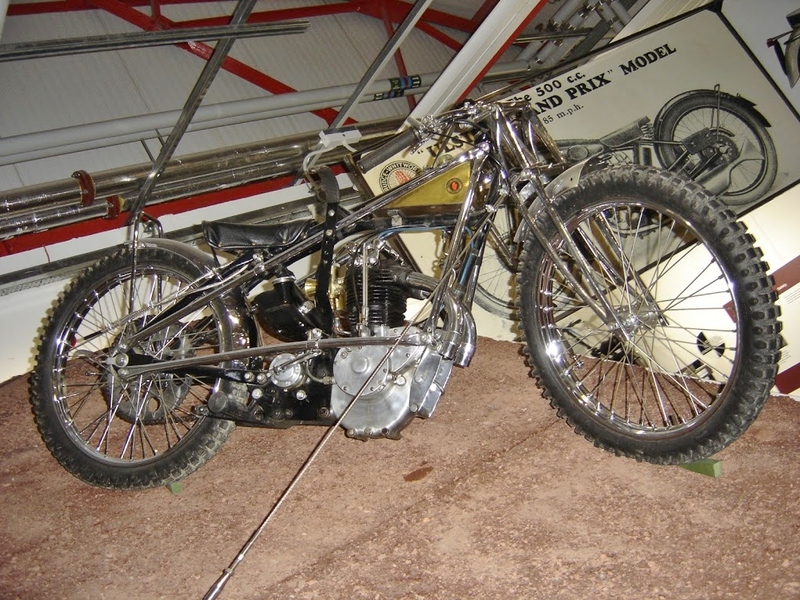 Nevertheless, the memories are well-preserved in the city’s Transport Museum which houses a wide collection of vintage cars and motorcycles as well as some ultra-modern speed monsters. 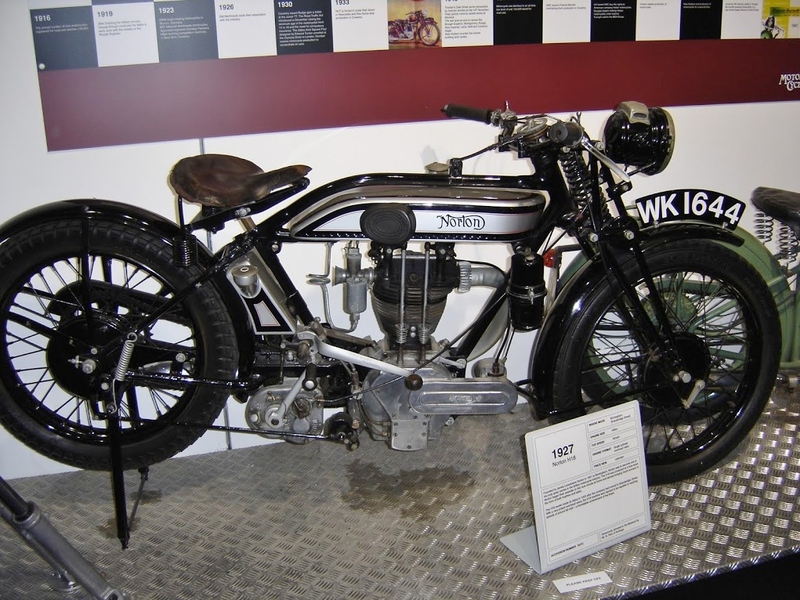 Located right across the bus station, the museum is definitely a must-see even for those who are not so keen on cars and motorbikes. 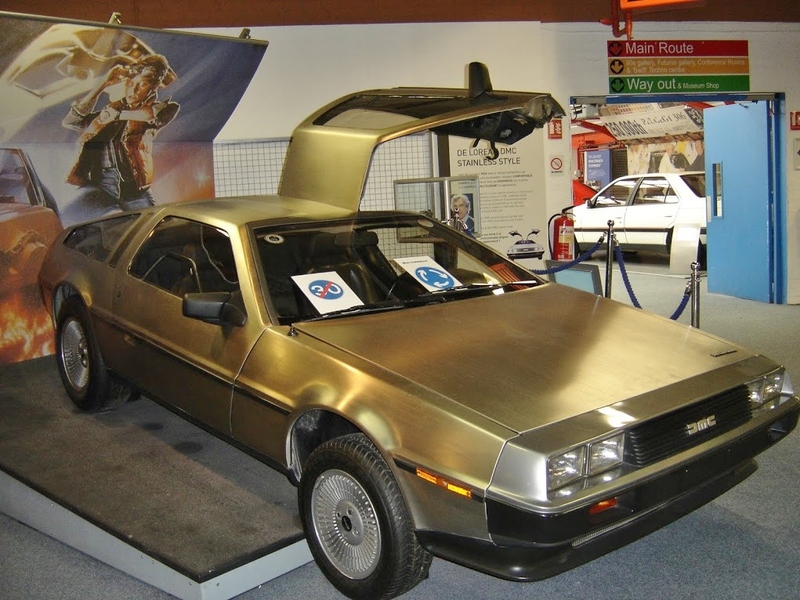 Other than hosting classic automobiles which can be explored chronologically on separate zones, the museum is also the home for cars which were considered futuristic during its time, including a DeLorean DMC-12 sedan which were used in the Hollywood movie Back to the Future. 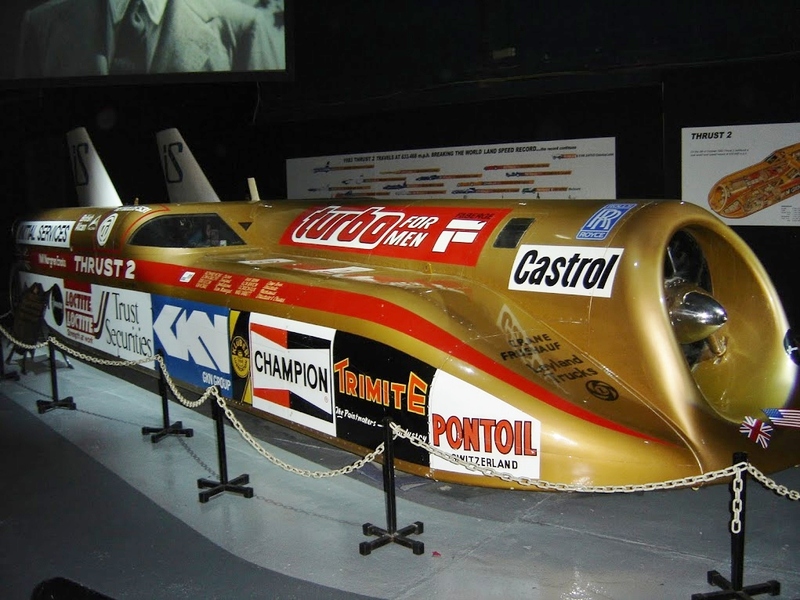 However the most conspicuous collections are probably the record-breaking super vehicles. 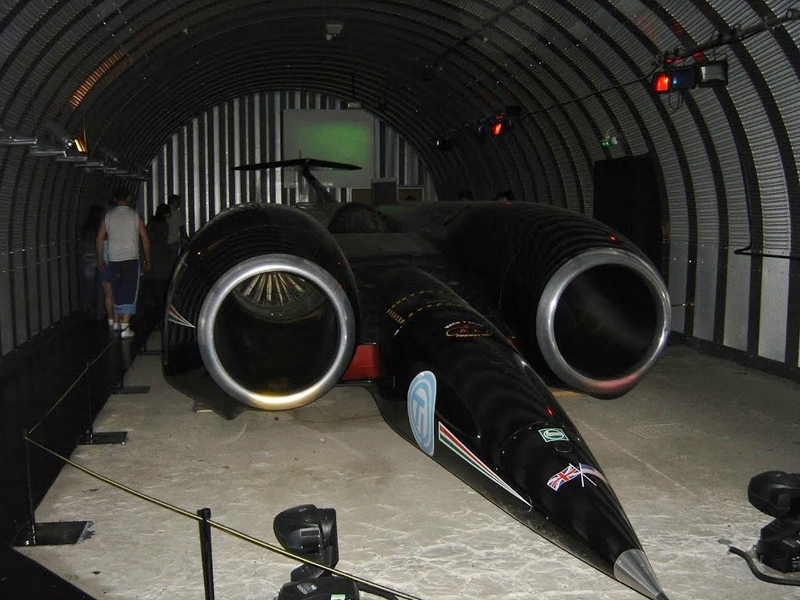 Resembling an arrow, they are equipped with monstrous turbojet engines enabling them to reach extraordinary speed. Just before we leave Coventry for Birmingham, we spot several metal plates scattered under the Whittle Arch. 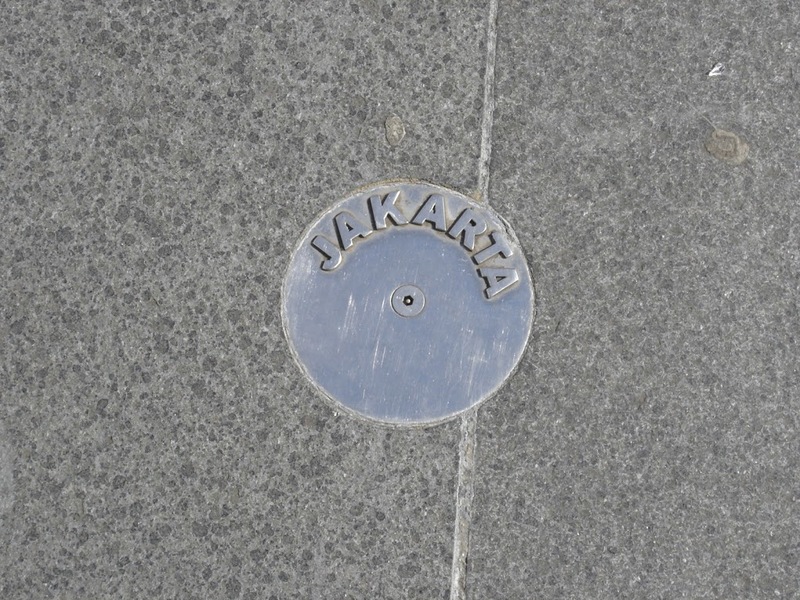 Different world city names are engraved on each plate, including Jakarta. Even some of the world’s newest capitals find their place under the arches, including Dili, the East Timorese capital. Probably an attempt to make Coventry a more international city. From the medieval cathedral ruins and streets to the revolutionary speed-defying vehicles, even the shortest visit to Coventry can bring every visitor a time-travel experience, and a glimpse of its past glory and dark time. All photos courtesy of my cousin, Dina. I didn’t know portions of the medieval city survived the war – like the cathedral I was under the impression that Coventry’s historic centre was razed to the ground. You can almost imagine Lady Godiva riding through those streets! Fortunately the pillars of the old cathedral survived the heavy bombings – The Blitz. Actually the city is compact enough so you can do a day-trip and cover most of the city’s most interesting places. I wonder though, if one day some brave – and crazy – person would reenact Lady Godiva’s horse ride around the city. That would be rather sensational! Interesting city – both medieval and industrial. Love the photo of the quaint medieval street, so other worldly. The cars exhibit looks cool!